Papua New Guinea’s minister of Bougainville Affairs, William Samb, has called on the Bougainville government to forget about talking to investors in the Panguna mine until after the referendum on independence. New Dawn FM reported Mr Samb was speaking during a Bougainville government roadshow around Bougainville that is explaining the referendum process. His comments came after the government unveiled controversial plans to start its own company to re-open the mine, teaming up with a newly set up Australian company. This has riled at least two other foreign investors who had been planning similar moves. 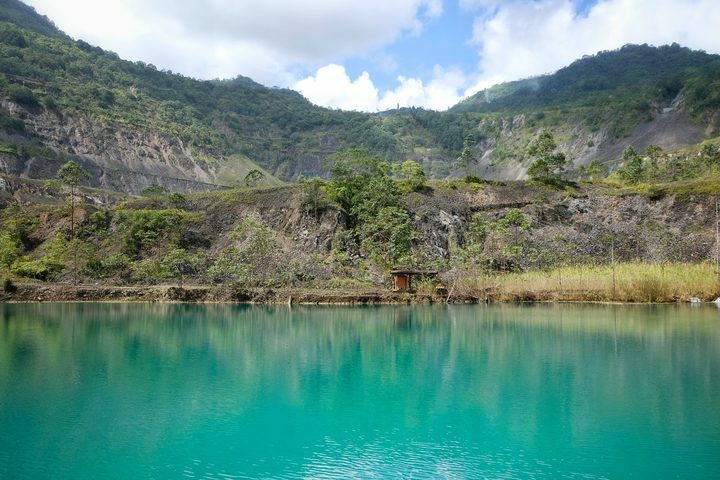 A year ago the government had declared a moratorium on opening Panguna but changed tack suddenly in January, saying it needed to open the mine to stimulate the economy ahead of the referendum vote in October. 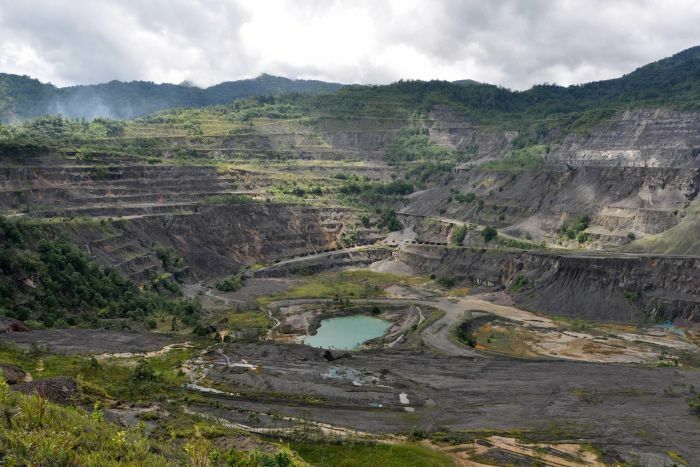 RTG Mining has announced the Autonomous Bougainville Government (ABG) has rejected a proposal to reopen the Panguna mine. RTG says it will now will consult with SMLOLA as to the steps to be taken in respect of this development. Meanwhile, the ABG is pursuing its own mining plans with Australian Jeff McGlinn and Caballus Mining. Autonomous Bougainville Government President John Momis. The President of Bougainville says landowners who criticise the government’s proposed mining law changes have been misled. The president announced plans for sweeping changes to the mining law in January, as the government sought money to help pay for the region’s referendum on independence from Papua New Guinea. It has been criticised by landowning groups and human rights organisations but John Momis says these people have been misled by mining companies and others who want their own deals. Mr Momis said the new law would greatly increase returns for landowners, earning them much more than the current measure which only guarantees their ownership of the minerals while they are in the ground. The mining law change would also see the government set up its own joint venture with an Australian entity, called Caballus. The joint venture, to be known as Bougainville Advance Mining , would aim to re-open the huge and controversial Panguna mine. The Bougainville referendum is set to be held in mid October. The Bougainville Government remains committed to rewriting the autonomous Papua New Guinea region’s mining law. President John Momis says critics of the move are lying. He says the new law would mean landowners retain ownership of the minerals after mining, making the benefits they receive much greater. In January Mr Momis announced plans to change the law and team up with an Australian businessman, Jeff McGlinn, forming a company called Caballus. 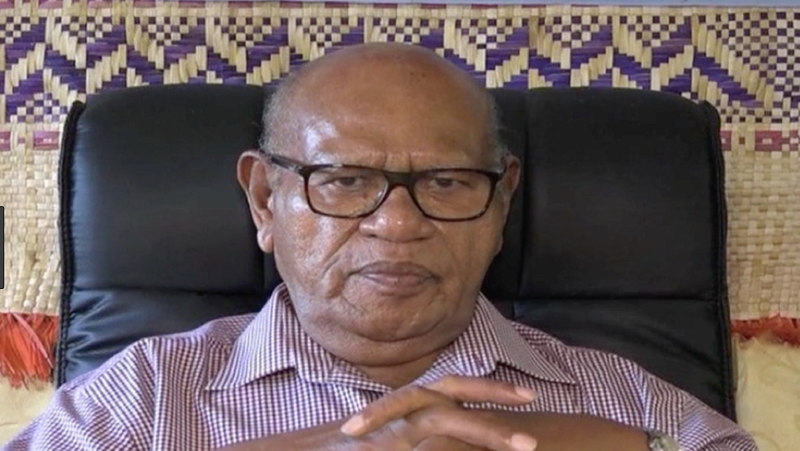 It sparked an outcry but as Mr Momis told Don Wiseman his government is undeterred. JOHN MOMIS: That will enable us to find a developer or investor to come in a joint venture with us, on the basis that we don’t pay anything because the Panguna ore body is a known ore body. It’s 65 billion kina worth. It’s known. And there’s only one Panguna mine – that’s excluding the Seven other Sisters. There are many companies in the world, if we gave them the mining licence they would go and raise money based on the value of this ore body. We, the landowners, will raise that, raise the money ourselves. DON WISEMAN: yes but some of the key landowners say they are being shut out of this whole process. JM: That’s not true. They are being lied to by RTG [Australian mining company] and others. Under the current mining law, which is better than the national mining law, the landowners only own the resource as long as it’s in the ground. Unextracted. Once it’s extracted the developer takes over and the landowner only gets five percent. If they wish to increase their share they can only increase it by another five percent, which they have to purchase. Under our proposal they own the resources, unextracted or extracted, and based on the known ore body we can raise the money ourselves. DW: There has been criticism of your changes to this mining act. You clearly need to sell it more around Bougainville. JM: That’s right, yes. I admit that our people made a mistake of not conducting a proper presentation, which they have subsequently done, and many people have seen and are saying, well, this is the best we have. We have – this week actually – while I am on the roadshow with the UN Nations Resident Co-ordinator and the Minister for Bougainville Affairs, we are going on a weeklong roadshow, our ministers will be conducting awareness amongst the members and others. We are very confident, once people understand. They have been misled or told that we are going to take everything away from the landowners. It’s nonsensical. in fact under our mining law they don’t even have to pay for their share because it’s their resource. DW: Jeff McGlinn, though, he is not someone with a direct involvement in mining is he. I know he is involved in mining machinery and so on, but he’s not a miner. JM: He’s not a miner, but there are mining companies in the world, we can hire the experts. I think it’s 65 billion US dollars worth of ore in the pit, the current Panguna pit, mineable over 27 years. That’s a lot of money. DW: Well I guess the critical thing is how much of it comes back to Bougainville? JM: Well under our law, or proposed initiative, I think it’s 58 billion. 50 billion will come back to Bougainville and only eight billion will go to the developer. under their proposal, [RTG] 50 billion will go to them and the poor Bougainvilleans will only get 8 billion. DW: So you are going to get a developer to come in, spending billions redeveloping the mine and they are not going to earn very much from it. JM: Well they will get a lot of money. We own the resources and I think it’s six billion to develop the mine, and they can get the money back, quite comfortably. 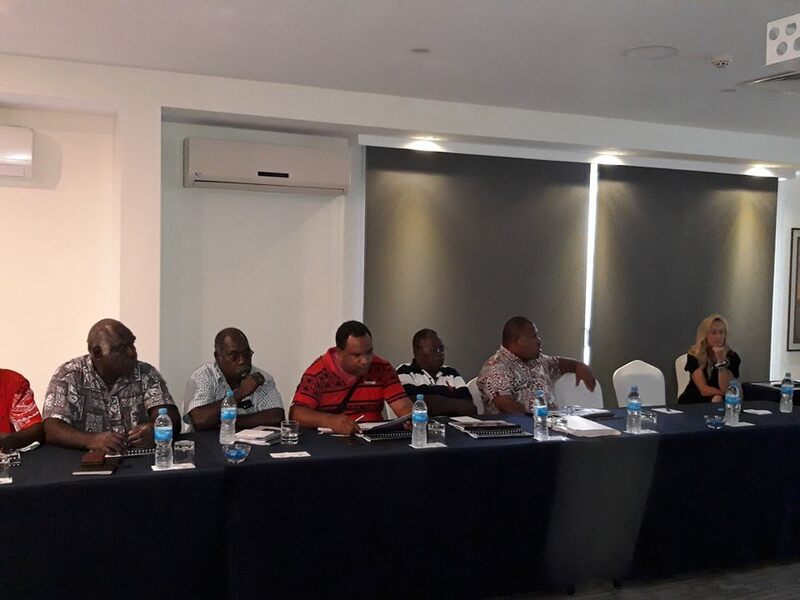 The RTG mining inc a mining company which has established itself at Panguna with the former miner BCL was for the first time able to table its plan of developing Panguna to Bougainville leaders in Port Moresby. RTG has been trying to meet with the ABG President, Grand Chief DR. JOHN MOMIS or the Mining Minister or better still the Bougainville Executive Council until yesterday when the BEC and including two members of the National Government, Member for Central Bougainville and former PNG Mining Minister, SAM AKOITAI and the member for South Bougainville and deputy Opposition leader TIMOTHY MASIU were able to make the presentation. According to RTG’s comprehensive presentation presented by Michael Carrick, RTG Mining INC ‘s chairman, RTC would like to support the Autonomous Bougainville Government to fund the Bougainville Referendum, Provide Financial Support for activities of the ABG to further Bougainville, Provide technical skills and access to capital to develop Panguna and in the process unite all Bougainvilleans. Several questions were made to the Chairman by the leaders who attended the presentation regarding the presentation of which MR. Carrick was able to answer them all. The leaders especially the member for Central Bougainville, SAM AKOITAI said that RTG should not bribe the landowners by paying them and the ABG which is the government that will grant them the Mining licence. He said Government support should only be made through company taxes and licensing fees. 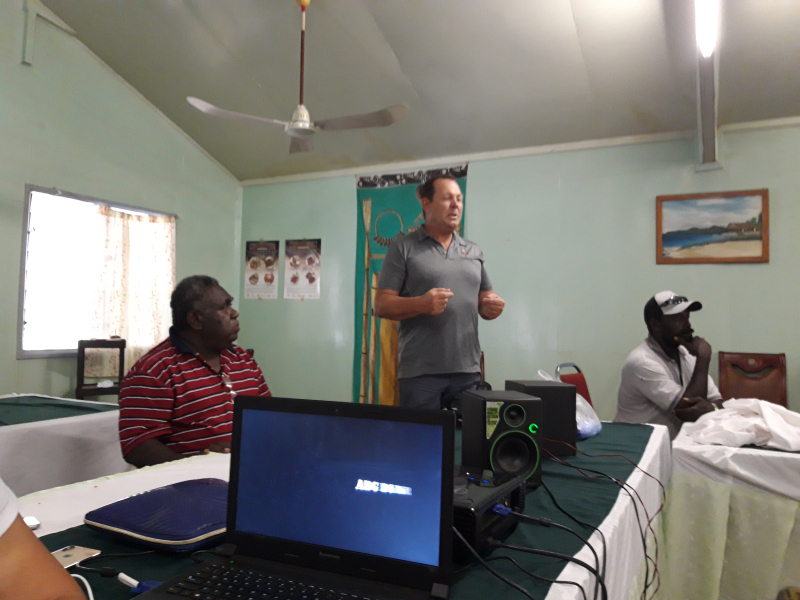 The presentation ended with the leaders agreeing that Bougainvilleans including the landowners should iron out their differences and consider investors who want to work with the ABG and the landowners to develop Panguna. The customary landowners from all mine affected areas in and around Panguna – not just the pit area – are 100% united in opposing the controversial draft Bills to change the Bougainville Mining Act (BMA). The draft Bills would see their rights been stripped, leaving them to try and negotiate with their own Government many years down the track, after they have given up all their rights and ownership of minerals. Special Mining Lease Osikaiyang Landowners Association Inc chairman Philip Miriori said: “All we are vaguely promised is some form of compensation once mining activity commences. “Who would do that, give up everything with no deal to look after our people. “Can you imagine, at that point it will be like us negotiating with Bougainville Copper Limited (BCL) again. They will have all the power and we will have none.” He added that this is why they are all united against these changes to the BMA and the architect of this fraudulent attempt to steal from us. A formal Petition has been signed by all nine landowner associations representing all the land that was impacted in the original Rio Tinto – BCL – Panguna Mine, which operated from 1972-1989. 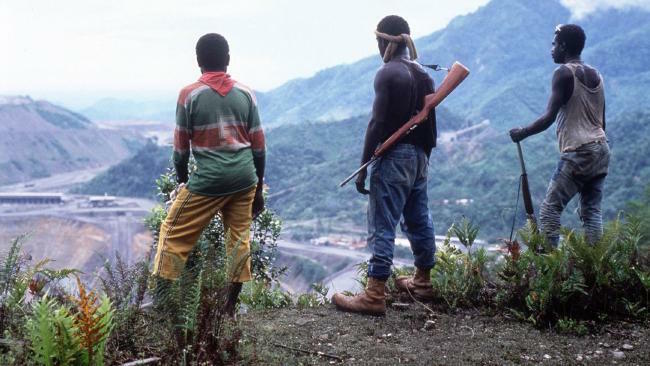 The mine halted production when Rio Tinto and its subsidiary BCL lost the support of the Panguna landowners and the community. “We all know what that led to. The Autonomous Bougainville Government is contemplating transferring the control of the Panguna Mine to an unknown Australian entrepreneur who claims he will raise $6 billion for Panguna, when he has never built or run a mine ever before,” Mr Miriori said. The petition draws the attention of the ABG to no fewer than nine what landowners alleged to be materially false claims of the proposal. Mr Miriori said the most fatal being the claim of a “permanent 60%” interest for the ABG. “It is ludicrous and simply impossible…he wants us to believe investors will put in 100% of the capital. They say US$6 billion for 40% of the profits, this is impossible, he added. SMLOLA special adviser Lawrence Daveona said Rio Tinto had to walk away from Panguna because they lost the support of the community. “This petition confirms every single member of the Panguna Landowner Association opposes the proposal,” Mr Daveona said. The signed resolution calls for the immediate withdrawal of the Bill to change the BMA and to try and stop further damage being done to their reputation internationally, Mr Daveona added. The landowners said that the customary laws of Bougainville and the basic human rights of landowners cannot be ignored. A secret presentation, by an Australian, Jeff McGlinn, which was marked “strictly confidential, not for distribution” has just become public. It evidences the unconscionable demand to strip landowners of all their rights under the Bougainville Mining Act. McGlinn’s demand for these wholesale and draconian changes, is so that he can secure a complete monopoly over all large scale mines on Bougainville, including Panguna, without following the due processes of law, including the mandated Free Prior and Informed Consent of Landowners. Panguna landowner Philip Miriori said: “The McGlinn draft Bills, which would strip landowners of all their rights, were actually drafted by McGlinn’s lawyers. It is completely unacceptable. Mr Daveona said: “The Landowners of Bougainville call on President Momis to protect them, by immediately withdrawing these deeply offensive McGlinn drafted Bills. Mr Miriori said it would be difficult to think of something more deeply disrespectful and insensitive to landowners and the community generally than the demands of McGlinn. “This comes at the very time the community is focused on continuing to build peace and reconciliation in the lead up to the referendum on independence. “Unreasonable, unconscionable and unconstitutional. If passed they will be challenged and Panguna is delayed indefinitely. Nobody wins – in fact we all lose. The general feeling about the amendment, from the 500 people who attended, was that no one agreed with it and those present were asking the ABG members to do away with the amendment immediately.